Note: if you do not see your students, a quick trick is to share 1 Google Doc with all your students. Doing this will add your students as contacts. When students visit Google Classroom they will be able to join. 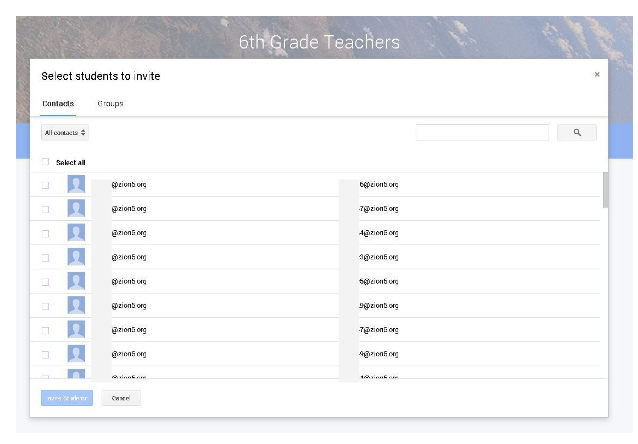 After enrollment, students will have direct access to your classroom every time they visit Google Classroom. If your student is enrolled in other classes they will see other classes as well.